Despite increased awareness and increasingly stringent legislation, alcohol-related vehicle fatalities are still an epidemic in the U.S. and Canada. In the U.S., more than 10,000 people die in alcohol-related crashes every year, which means there is a fatality attributable to impaired driving every 50 minutes. One important tool used to fight this epidemic is the ignition interlock device. Development of a device that stops motorists from starting their vehicle if they have been drinking was conceptualized as early as the 1960s, and the first successful device was created in 1972. In the ensuing decades, the technology has improved, and today ignition interlock legislation exists in all 50 states. Since 2006, it is estimated the devices have prevented 2.3 million alcohol-impaired driving attempts, saving countless lives. However, until just a few years ago, there was very little guidance for jurisdictions to create or enhance an ignition interlock program. In 2013, NHTSA published a model guideline and two years later AAMVA released the Ignition Interlock Program Best Practices Guide. While both of these resources provided much-needed information and recommendations, the world of ignition interlock programs changes rapidly. In 2018 AAMVA formed a new working group to update the 2015 guide. The result is an enhanced Ignition Interlock Program Best Practices Guide, released this September, expanding on the original best practice recommendations while diving deeper into some of the key issues, including, most importantly, jurisdiction-to-jurisdiction reciprocity. 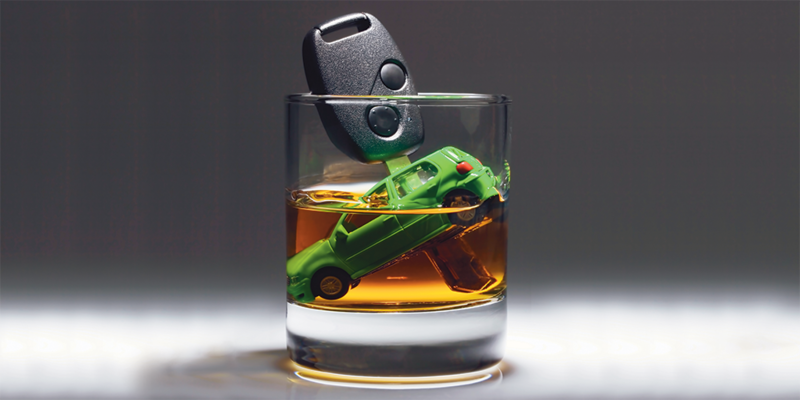 In the U.S., more than 10,000 people die in alcohol-related crashes every year. A fatality attributable to impaired driving occurs every 50 minutes. Addressing how ignition interlock programs should operate when drivers cross jurisdictional lines was the biggest issue for the 2018 Working Group. This makes for a complex administrative issue, as neighboring jurisdictions may have significantly different requirements. 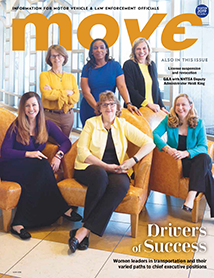 Coleman explains that the ideal version of reciprocity aligns with AAMVA’s “one driver, one license, one record” goal for the future of motor vehicle administration and driver licensing in general. With one record for each driver that could be easily transferred across jurisdictions, keeping track of restrictions like ignition interlock devices becomes much easier. This year, a big step will be made in that direction with the addition of a “T” restriction code that refers these devices to the Commercial Driver’s License Information System (CDLIS), allowing it to appear on driver’s licenses (see sidebar). 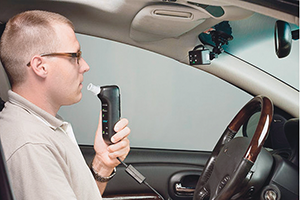 Being able to clearly tell if a driver has an ignition interlock device restriction on his or her license is essential for licensing authorities and law enforcement. To address this issue, AAMVA adopted the “T” restriction code for driver’s licenses in 2018, and recommends its use in Best Practice Recommendation 5.1 in the Ignition Interlock Program Best Practices Guide. The restriction is expected to be released to CDLIS systems in the near future. Manufacturers also play an important role when it comes to drivers who are crossing state lines, because they have to be ready to meet the needs of multiple jurisdictions. Debra Coffey, Vice President of Government Affairs for Smart Start Inc. and part of the Coalition of Ignition Interlock Manufacturers, explains that manufacturer flexibility supports better reciprocity. In addition to aiding reciprocity, manufacturers have also been pushing ignition interlock technology forward. From adding cameras to confirm the person blowing into the device is also the one driving it, to real-time GPS tracking of potentially impaired drivers, safeguards against offending drivers are only getting stronger. Some ignition interlock devices from Lifesaver incorporate a windshield-mounted camera. As this technology advances, more education about its capabilities is needed, for both administrators implementing it and law enforcement officers who will interact with it on a daily basis. Steven Watkins, former Director of the License and Theft Bureau at the North Carolina Division of Motor Vehicles (now serving as Director of the Training and Development Unit) and member of the Working Group, notes that staying abreast of changes to ignition interlock technology is not only important for officers performing their jobs, but it’s also a safety issue. “I’m focused on my end on identifying information that will help law enforcement officers do their jobs and also keep them safe; so when they see the device, they know what it is,” he says. Watkins says most officers are knowledgeable about the devices—it’s a part of standard training—but as new devices are tested and implemented every day, it is a challenge to keep up with the most current technology. To help address this, AAMVA will release a training video covering law enforcement roadside interactions with ignition interlock equipped vehicles and drivers with ignition interlock license restrictions by the end of 2018. Although addressing reciprocity served as the catalyst for this update to the Ignition Interlock Program Best Practices Guide, not one line of the 62-page guide went unanalyzed. Building on the foundation of the 2015 guide, the Working Group examined lessons learned and brought that new knowledge to the 2018 version. Recommendations run the gamut from basics that could be overlooked, such as recording alcohol-related events or having a vendor monitoring system, to more complex practices such as integrating an ignition interlock program with substance abuse education and treatment. From the manufacturer’sperspective, Coffey emphasized additions to the information regarding regulator standards and manufacturer oversight. While he feels that the best practice recommendations surrounding monitoring offenders were particularly important to update for this guide, Watkins explains that the comprehensiveness of the guide is its strongest feature. And that’s really the goal for this update of the guide: to learn from and build on experience so that each new program, whether starting from scratch or adding to an already successful system, works that much more smoothly.